Slow Cooker Minestrone Soup is a warm &amp; comforting soup. 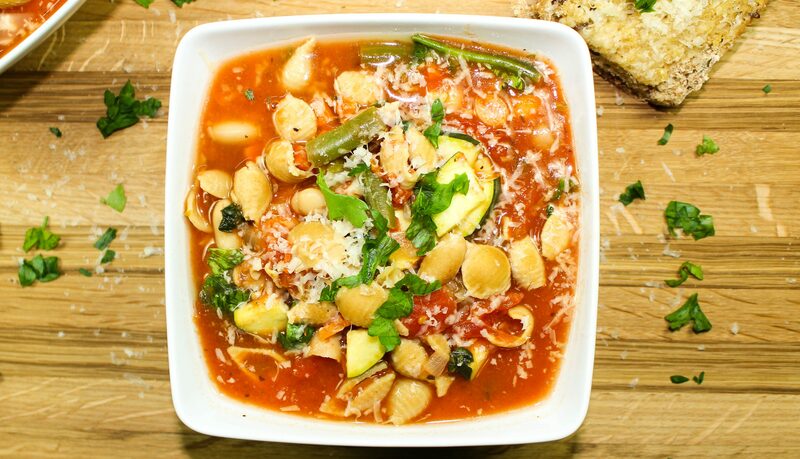 Hearty vegetables, beans, &amp; pasta mixed together will warm you soul. Delicious &amp; Weight Watcher friendly- 7 SmartPoints! The weather here in Indianapolis has been a bit wishy washy. Cold one day and warm the next day. Keep in mind that cold to me is like 62 degrees (I’m from Texas!) The days that it’s cold outside, all I want is a big bowl of soup, chili or stew. I love a big bowl of hearty goodness that makes you feel all warm and fuzzy inside. Cold weather makes me happy, mostly because it gives me a reason to eat soup and chili. My Slow Cooker Minestrone Soup is a hearty bowl of warmth and comfort. Packed with delicious vegetables, beans, and shells, this soup is at the top of my list on favorite soups to make. Hearty, healthy and packed with flavor! This is a Weight Watcher friendly recipe and each serving is 7 SmartPoints. For the first time in my life, I’m finally experiencing what a true fall feels like. The fall that I used to know was 80 degree days. Now that I live in Indy, my definition has completely changed… which makes me so over the moon happy! Crisp 60 degree days, with colorful leaves and no humidity. My husband is original from the Northeast and laughs at me when I say I’m cold and its 60 degrees. We first met about 8 years ago back in Texas. Now that we are here in Indy, and its fall, we are not disappointed at all by the seasons changing. We’ve had a few random days of heat, but overall it’s been amazing weather here… and we love it. 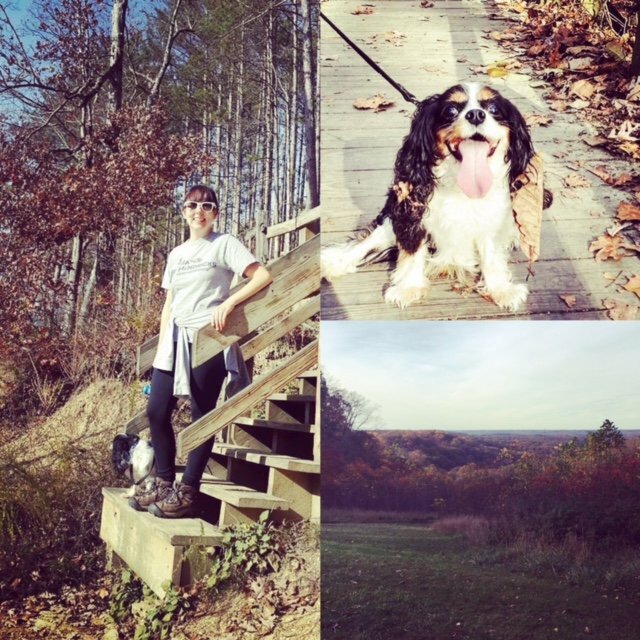 Last weekend, we left the city and went to a state park with our dogs to experience the leaves changing. A lot of the leaves had already fallen, but it was still beautiful! My husband hasn’t really experienced fall in 15 years so when we were walking around the park, he started to remember what fall felt and smelled like. Apparently, there is a certain smell in the air when it’s fall. I’m so happy that I’m finally experiencing fall and understand the feeling now. The park was amazing, and our dogs love it! The first few weeks of fall here in Indy, I made soup like every day. It just felt right y’all! One particular day, I was craving a big bowl of veggies and noodles. 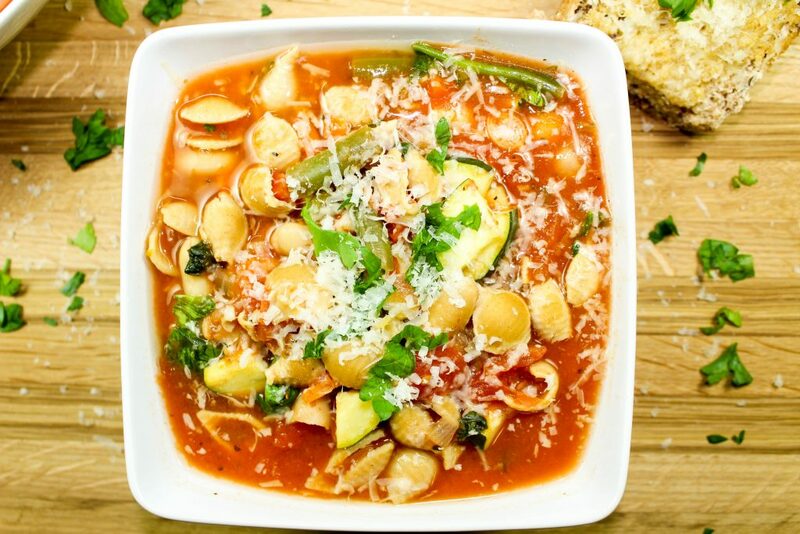 Minestrone soup is the perfect soup for this kind of craving. Perfectly cooked carrots, celery, zucchini, spinach, and green beans mixed with cannellini beans, a delicious tomato sauce, and whole wheat shells…. Perfection! This soup is hearty and healthy that I don’t feel guilty at all for eating multiple servings! Aside from the fact that this soup is low fat and guilt free, another reason I love this soup so much is because it’s made in a crock pot. There’s really nothing better than crock pot soups… Am I right or what?! Most of the work involved in this recipe is chopping up the veggies. You can do this prep work the night before you cook the soup. Once the veggies are chopped, add them to the crock pot, followed by canned whole tomatoes, vegetable broth, seasonings, and canned cannellini beans. Let the soup cook on low for about 8 hours. You can let this cook while you are away at work or even overnight. The whole tomatoes will break down while they cook. 30 minutes prior to serving, add fresh baby spinach, sliced zucchini, frozen green beans, and the pasta shells to the crock pot. Let it cook for another 30 minutes then it’s ready to eat… YAY! 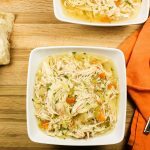 This soup can also be made on the stove top just as easily! 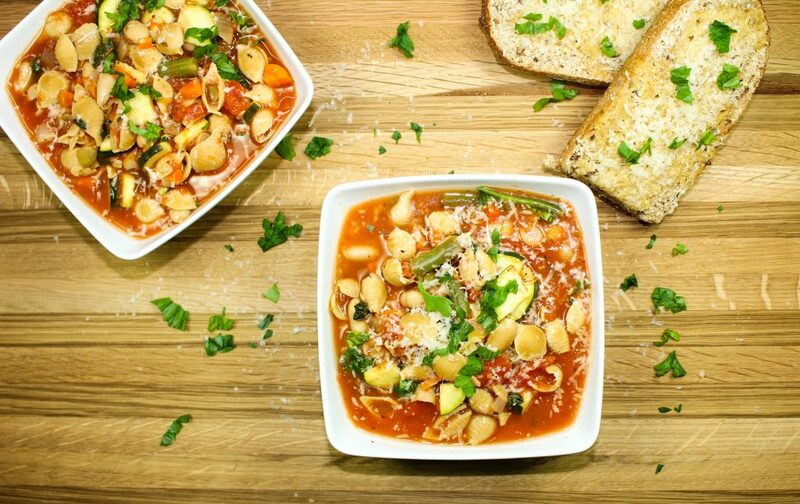 Slow Cooker Minestrone Soup is the perfect soup on a cold (or chilly) day. Hearty vegetables, beans, and pasta mixed together will warm you soul. 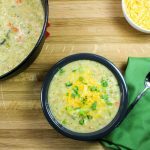 This soup is so delicious you will want more than one serving, which is perfectly acceptable because this soup is low fat! I like to garnish my soup with shredded parmesan cheese on top and a slice of whole grain bread. Dice roma tomatoes, onion, carrots, celery, and garlic. Add to crock pot. To crock pot add vegetable broth, water, crushed tomatoes, cannelloni beans, Italian seasoning, bay leaves, salt and pepper. Thirty minutes before soup is done, add diced zucchini, frozen green beans, baby spinach, and pasta. Cook for additional 30 minutes on high. Garnish with parmesan cheese and parsley. Dice roma tomatoes and set aside. Dice zucchini and set aside. Dice garlic and set aside. Dice carrots, onion, and celery. To large pot, add 1 teaspoon olive oil and heat over medium heat. Add diced carrot, onion, and celery and sauté for 10 minutes. Add garlic and sauté for 1 minute. Season with salt and pepper. Add roma tomatoes, vegetable broth, water, crushed tomatoes, cannelloni beans, Italian seasoning, and bay leaves. Cover and cook on low for 45 minutes. Add diced zucchini, frozen green beans, baby spinach, and pasta. Cook for 10 minutes. If you want to make this soup freezer friendly, I recommend that you do not add the pasta shells to the crock pot. Cook the pasta shells according to the package, then add 1/3 cup of the cooked pasta shells to a bowl of the soup that way you can freeze the rest of the soup. The pasta noodles do not freeze well when cooked. 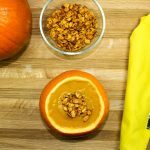 November 10, 2016 at 2:22 pm This looks so fantastic! I am always looking for easy recipes to throw into my crockpot this time of year! November 10, 2016 at 2:46 pm Yum! This looks amazing. I love soup on a cold fall day. November 11, 2016 at 9:14 am It's the best thing ever!! Thank you so much for commenting Lauren! November 16, 2016 at 9:47 am Minestrone soup is so good and comforting! Thanks so much for commenting Rebecca! November 19, 2016 at 9:37 am Are the cannelloni beans canned or dried? November 19, 2016 at 11:37 am Great question Lisa! I used canned beans. I hope you like this tis recipe! 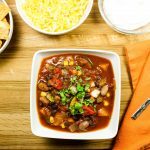 November 21, 2016 at 11:19 am I know... that's why I love slow cooker meals :)!! I hope you try this recipe soon Michele! October 29, 2017 at 5:05 pm Do you precook pasta? Also you mention 2 cups of water for? October 30, 2017 at 11:28 am Hi Gayle, I do not pre-cook the pasta in the recipe. When the recipe states to add pasta, it is uncooked. You will add the 2 cups of water on the same step as adding the vegetable broth (I will update the recipe!). The uncooked pasta will cook in the soup. I hope you like it!